Blend all of the ingredients together in a blending cup, pass through a sieve, pour into 4 tall glasses (each approx. 200 ml). 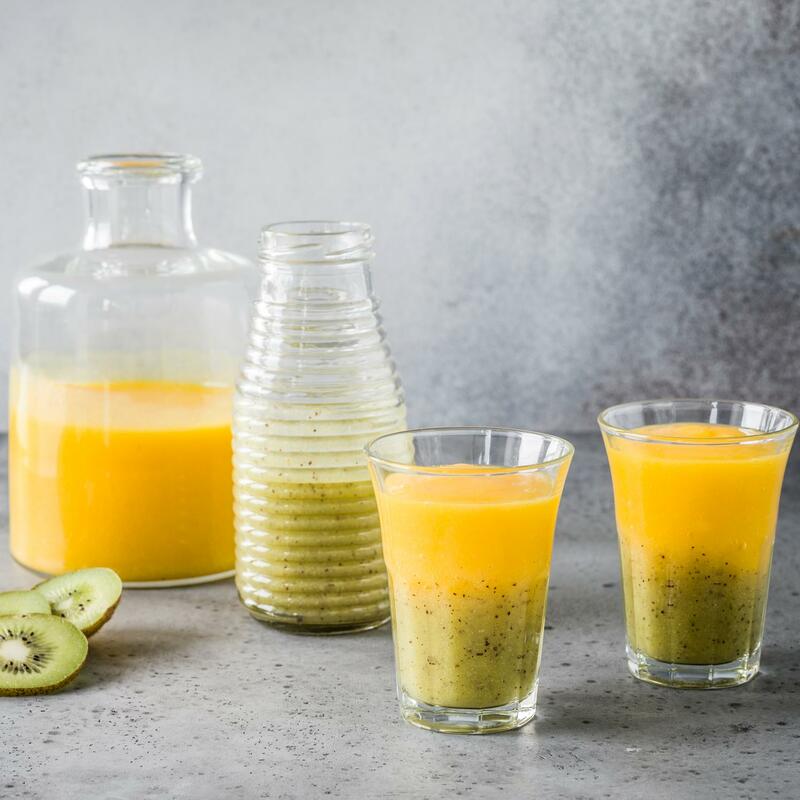 Cut off the flesh of the mango on both sides along the flat stone, transfer to a blending cup along with all of the other ingredients and blend together, carefully pour into the glasses, serve immediately.